Around the Common: Do you want to have a whale of a time? Please join us on May 25 from 5 -7 PM for A Whale of a Family Night! The event is free and open to the public. The event will be held in the Atrium of the Dana Mohler-Faria Science and Mathematics Center. 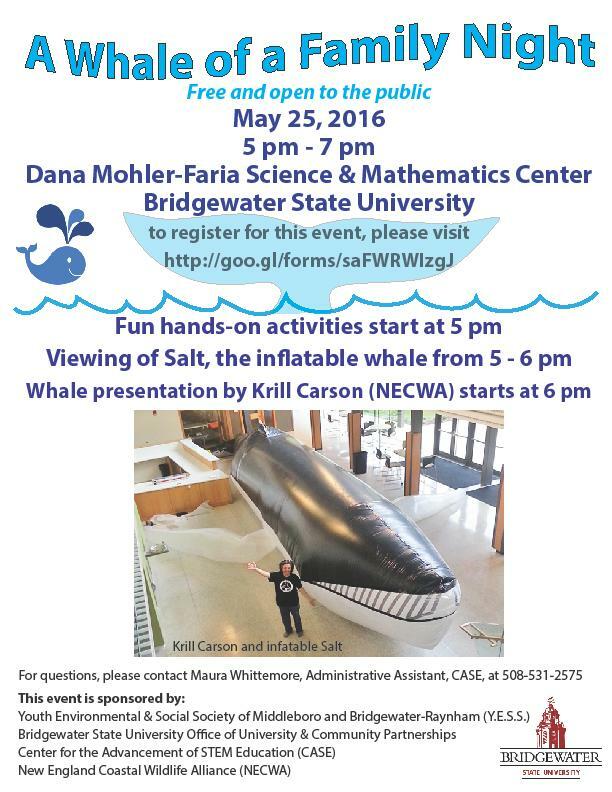 Whale presentation by Krill Carson begins at 6 PM.